The 1BlessedNatural Back to School Giveaway! 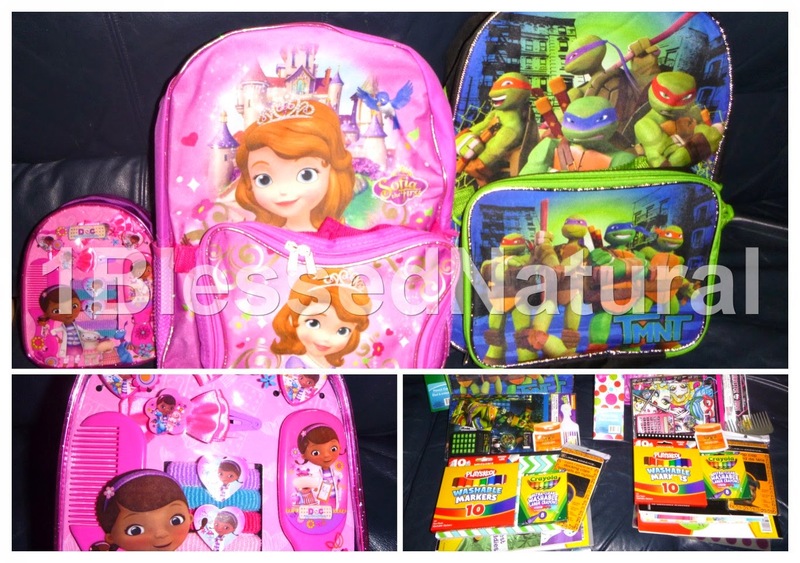 The1BlessedNatural Back to School Giveaway! Thank God for Friday! I've decided to do another giveaway! This giveaway is for the 1BlessedNatural parents who would like to win a book bag full school and hair supplies for their kids before they go back. This giveaway is sponsored by myself and the Beauty Is Me Beauty Supply store in Bloomfield, NJ. *The "Sofia The First"and Doc McStuffins characters belong to Disney. The Teenage Mutant Ninja Turtles characters belong to Nickelodeon and Viacom. 1BlessedNatural is in no way affiliated with Disney, Nickelodeon, Viacom or any of their affiliates. The 1BlessedNatural Back to School Giveaway will begin today and end on 12:00 am Friday, August 29th. The winner will also be announced on the same day. I will create a new post to announce the winners, so please be sure to visit the main page on that day. Also, please be sure to follow all giveaway rules to prevent your entry from being disqualified. If you enter the giveaway, please add 1BlessedNatural[at]gmail[dot]com to your email address book so that you will receive my winner notification email in your inbox. As always, I wish you all blessings! If you would like to sponsor my next giveaway, you can email me at the address above. Please type "Sponsor Giveaway" in the subject line. Which book bag would you like (prize 1, 2, or 3)?